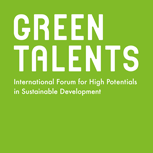 The BMBF invites all Green Talents winners to Germany for a two-week Science Forum, during which some of the hot spots of sustainability science are visited. This offers the unique opportunity to get exclusive access to the country’s research landscape. These visits also lay the foundations for the establishment of international research cooperation in the near future. Touring Germany from one station to the next, the Green Talents learn about the research that is being conducted and gain an exclusive look behind the scenes while visiting labs or production sites. They also get the chance to discuss their projects with other scientists and hear about the research and working conditions in Germany.The tour is organised and accompanied by the Project Management Agency of the German Aerospace Center (PT-DLR). All expenses during the tour as well as the journey to and from Germany are covered by the ministry. 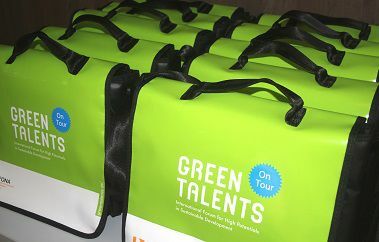 Have a look at the different tours and get a deeper insight on this unique network of excellent research institutions and companies, which have been visited since the beginning of the Green Talents Competition in 2009.